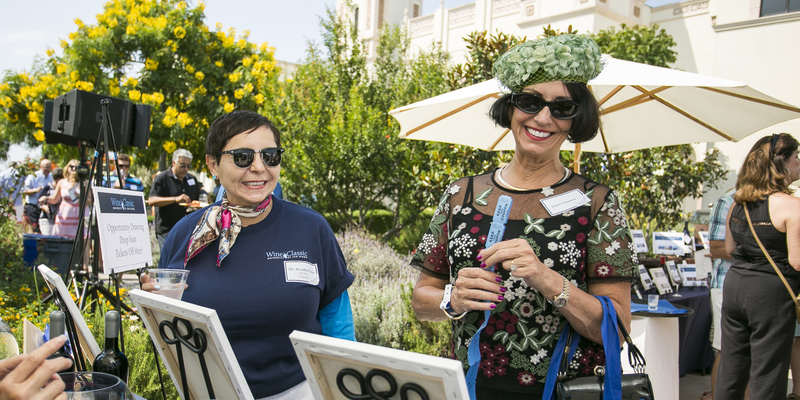 This summer, the University of San Diego will host the 10th anniversary of the Wine Classic, an annual event that was established by the Alumni Association Board of Directors to raise money to support scholarships. The 2018 event, scheduled for July 14-15, will feature some popular favorite activities, as well as some new elements. The weekend will kick off at 6 p.m. on Saturday, July 14, with a Vintners Dinner, an intimate dining experience featuring a four-course meal with wine pairings at USD’s La Gran Terraza. Sunday’s festivities will start with a VIP Crush Reception, an exclusive opportunity to enjoy beer, wine and culinary delights while mixing and mingling with participating wineries and fellow sponsors prior to the Wine Classic. stations and a unique silent auction featuring many wine-related items, including magnums, tasting experiences, sailing adventures and more. Guests will learn about wines that are poured directly by the owners or winemakers from more than 25 wineries — each owned or managed by USD alumni, parents or friends. They’ll also have the opportunity to purchase some limited-edition commemorative items, pay $25 to pull a bottle of wine worth up to $150 from the Wine Wall, or enter the raffle for a chance to win a luxury getaway in the heart of California wine country. Proceeds from all opportunities support the Alumni Endowed Scholarship Fund, which was established in 2006. Since its inception, the Wine Classic has raised $450,000 to support that scholarship fund, which is vital at USD where seven out of every 10 students rely on scholarships or other forms of financial assistance. To learn more or to purchase tickets, go to usdwineclassic.com.